Set in a not-too-distant future of the year 2020, the Robin Hood tale of taking from the rich and giving to the poor is given a modern twist to reflect the current economical climate and the rich/poor divide which is becoming increasibly noticable in today’s broken Britain. Unemployment is at an all-time high, whilst politicians and bankers claim on expenses and accrue mind-blowing bonuses that us mere working-class could only dream about. All your favourite faces from the tales of Sherwood Forest are represented in a current fashion as each character, from Robin to Marion and even Little John, take on the system in their own way. Hood is sent on a mission by Marion, who’s back at headquarters with their sophisticated computer system, SHERWOOD. Hood rescues a man named Jenkins who’s acquired files that could take the whole system down, but it’s never a simple task when the police and MI6 are on your back. Various storylines that involve the other characters intertwine with one another as we learn about the cushy ways of the Old Etonians in contrast to the struggling public schools. 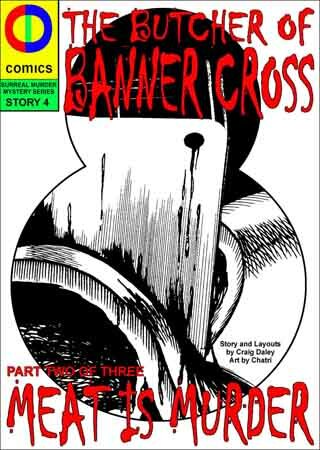 Writer and illustrator Craig Daley might have left his whodunnits behind but he’s still focussing on the mysteries in this current, action political thriller. 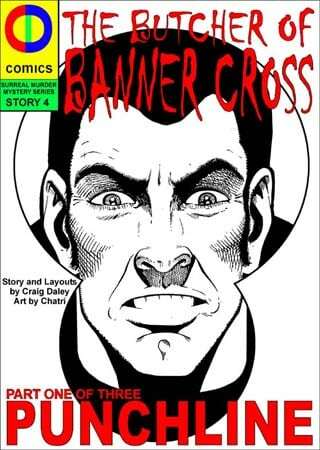 Blending the Carnacki & Hannay style artwork with his trademark simple drawn characters, Daley creates some fantastic scenes including Eton, Westminster and Sheffield. The action takes place in a variety of outdoor and indoor locations, taking the reader on a journey through all the different scandalous scenarios that are prevalent in today’s Britain. Each location feels real and brings added excitement to the plot of the comic, each scenario gripping with its twists, turns and dilemmas. This comic about a group fighting back, in a time where people seem more preoccupied with the world of celebrity and who’s winning X Factor, is a much needed breathe of fresh air and satires the current world we live in. Though the comic is quite series in nature, the story does include a bit of dry wit, particularly about Sherwood’s love of the shopping channel. 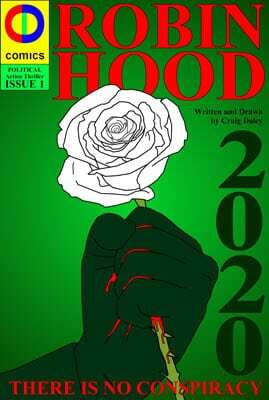 This is certainly a different take for Daley but an enjoyable and thought-provoking one and I look forward to seeing what information is uncovered in the future comic, ROBIN HOOD 2020 [Issue 2] THE TRUTH IS EVERYWHERE, which we are promised includes Robin and Little John in a bridge fight scene!